The average family size among all Census families—with or without children—has declined over the last generation. 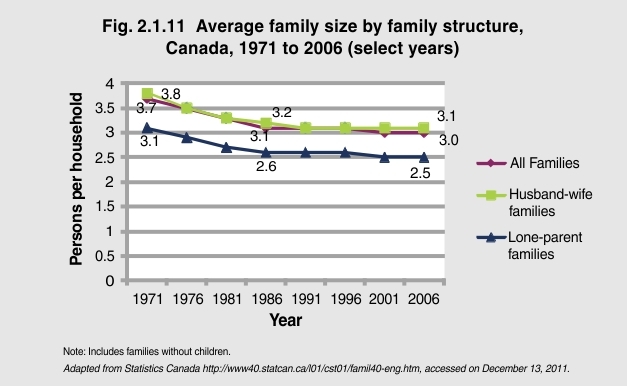 In 1971, the average family in Canada had 3.7 people; by 2006, that number had dropped to 3.0. Similar decreases have been observed among husband–wife families (from 3.8 to 3.0) and among lone-parent families (3.1 to 2.5).